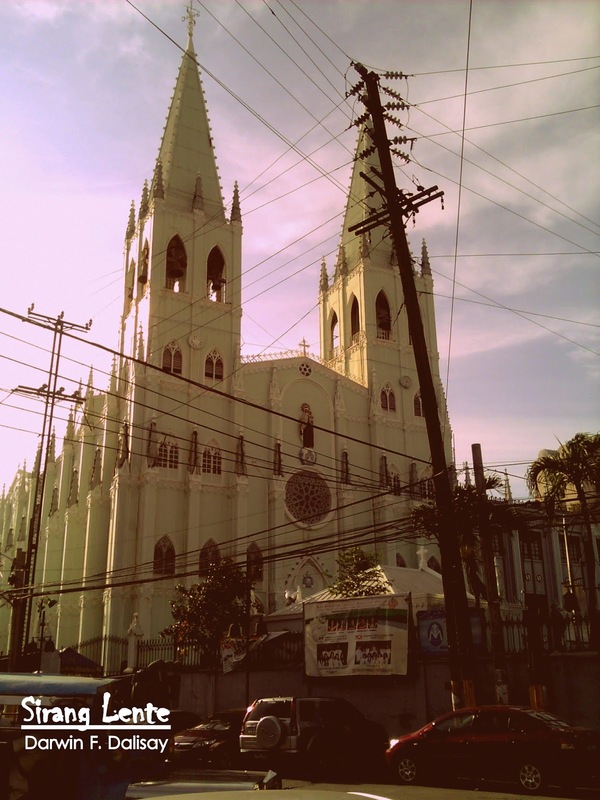 San Sebastian Church or Basilica Minore de San Sebastian is a Minor Basilica in the City of Manila. The very first structure of this church is situated on a land donated by Don Bernardino Castillo, a devotee of Saint Sebastian, in 1621. It was made up of wood, but was burned in 1651. So it was then replaced by a structure made of bricks but was destroyed again by fire and earthquakes. A new plan was created and that was to build a fire and earthquake resistant structure. In 1880s, Esteban Martinez approached the Spanish architect, Genaro Palacios, to make a structure made of entirely of steel. I was in elementary when I first saw the image of this church, it was one of our topics in HEKASI and then Geometry in high school because of its angles. The steel used in building the present structure were manufactured in Belgium. They were transported in eight separate shipments from Belgium to the Philippines. The stained glasses were imported from a German stained glass firm and applied by the local artisans.